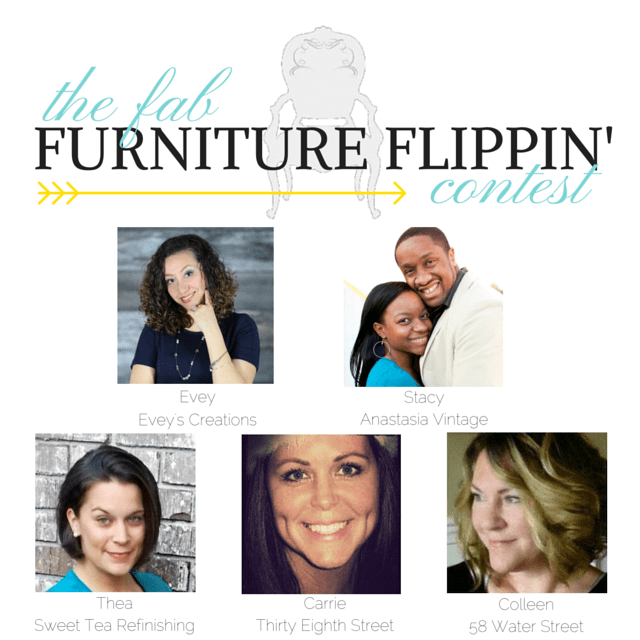 This month’s Fab Furniture Flippin Contest was all about bringing some *Bling Bling* to our projects. 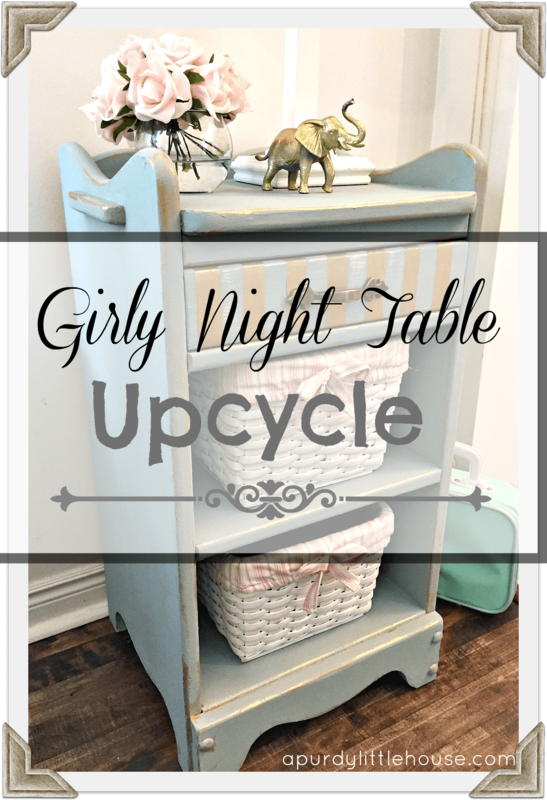 I’m so happy to have been able to participate in this challenge, as it gave me a chance to finally complete a girly night table upcycle for my youngest daughter’s room. 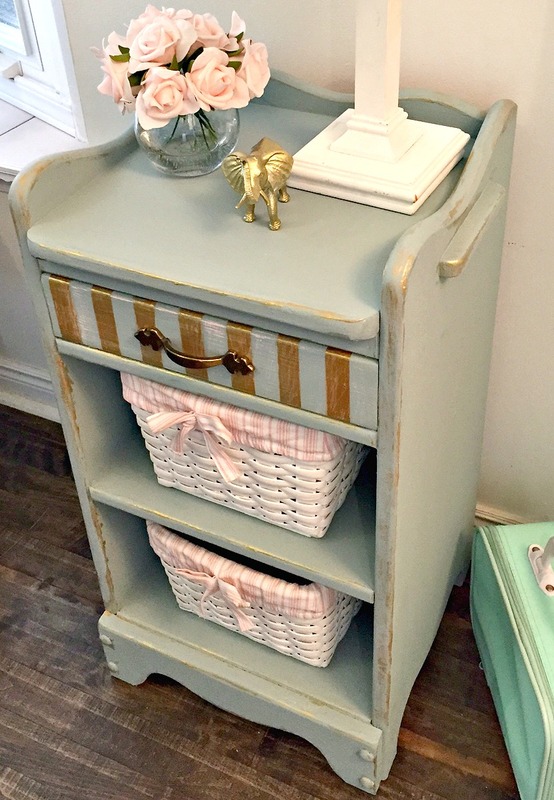 This project was so much fun to complete, as I got to add some fun vintage styling to her room with these amazing colours from Country Chic Paint, a Canadian Company 😉 Shout out from a fellow Canuck!!!! 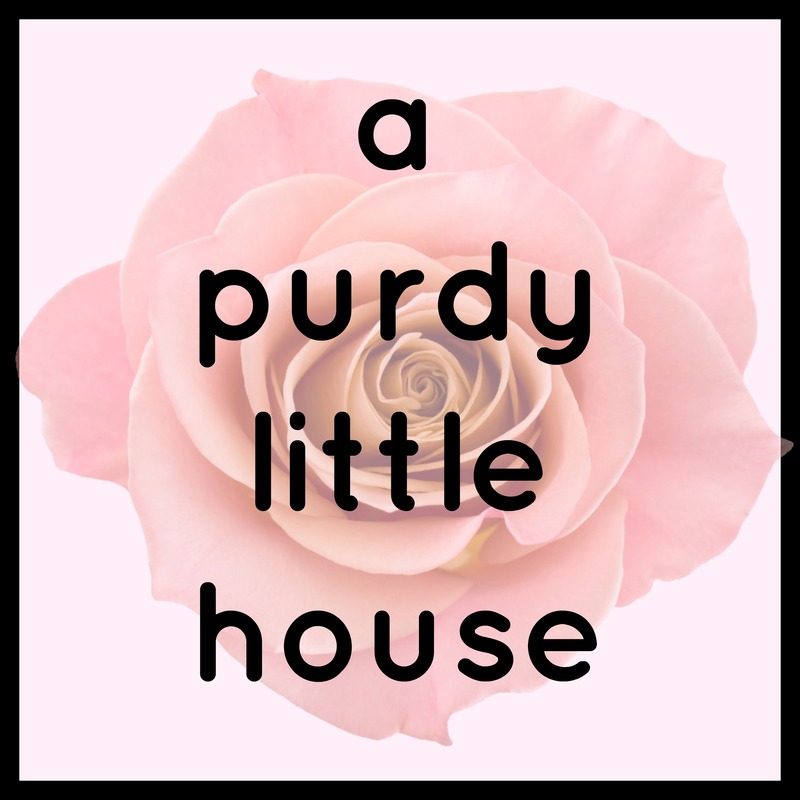 Sponsorship Disclosure: I was not financially compensated for this post. 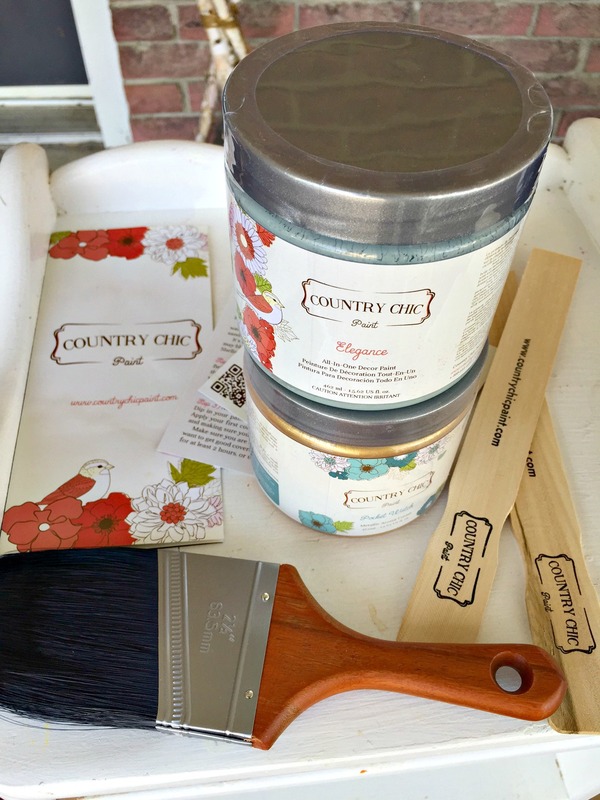 I did receive product from Country Chic Paint in exchange for my honest opinion about the product. All opinions expressed are my own, yo! First off, let’s say a huge THANK YOU to our amazing hosts. 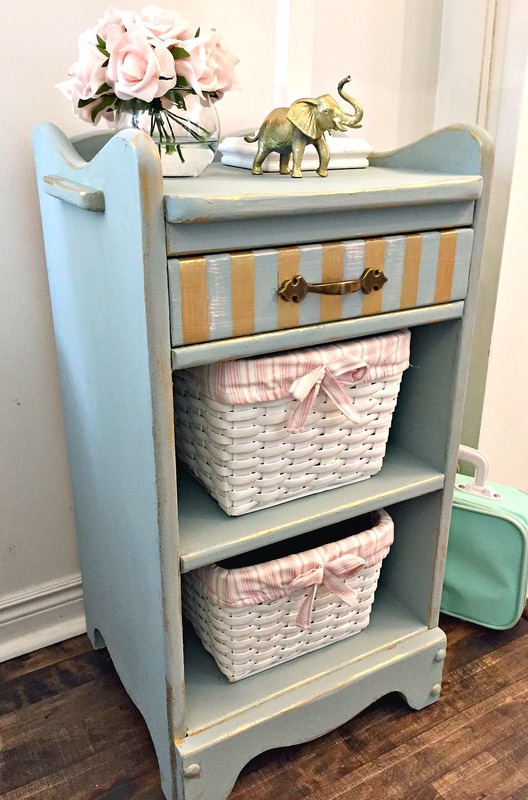 These ladies are uber-talented so please check out the featured hosts furniture flip projects here: Carrie at Thirty Eighth Street and Thea at Sweet Tea Refinishing. Okay… so this piece was originally mine when I was a child and it was a deep cherry/brownish colour. I painted it white years ago (before I started blogging), hence no actual Before pic. Oooops. 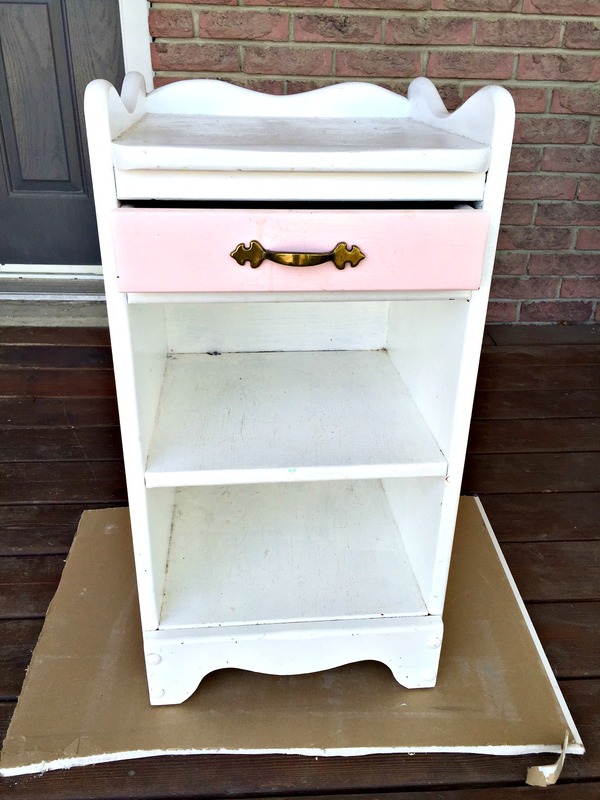 Anyhow, the white and pink has run its course, and was feeling a bit too baby-ish for my daughter. It was definitely time for an update. For my colour selections, I chose Elegance (which is reminiscent of a vintage green/grey/blue) and Pocket Watch for my accent colour. 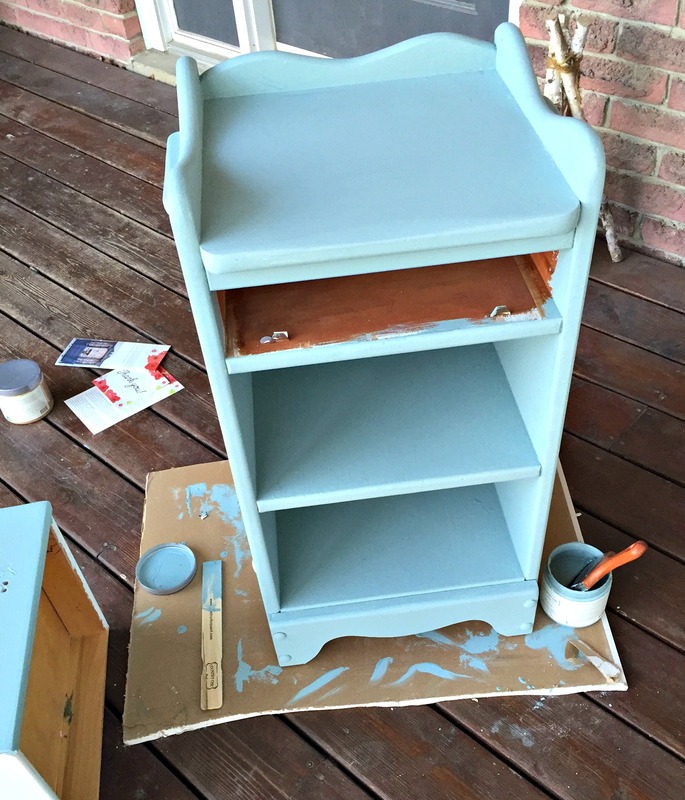 This is a clay-based paint, and the Elegance has a super matte finish that dries really quickly. The accent “bling-bling” metallic cream paint has a shine to it, which is exactly what I wanted and made for a gorgeous colour combination. 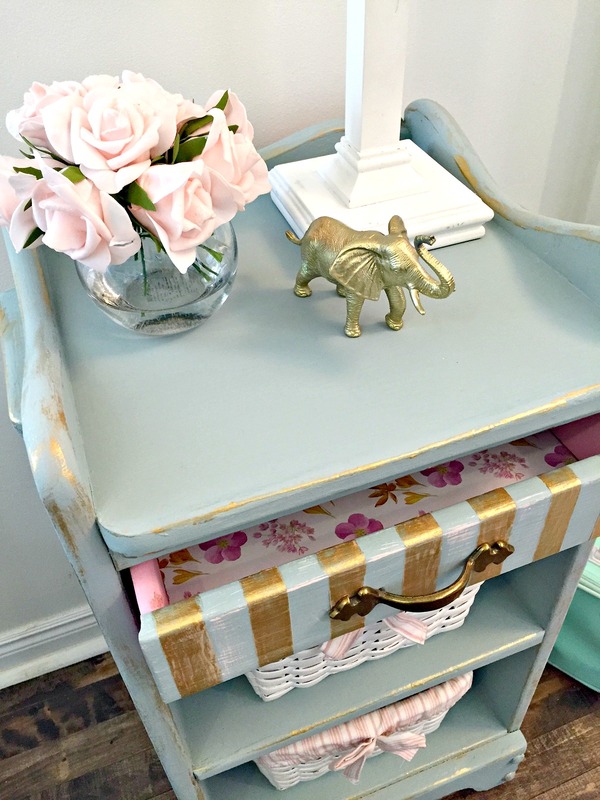 For the drawer, I decided on gold stripes to give it some bling. The Pocket Watch gold paint was very thick and required a little extra time to dry. 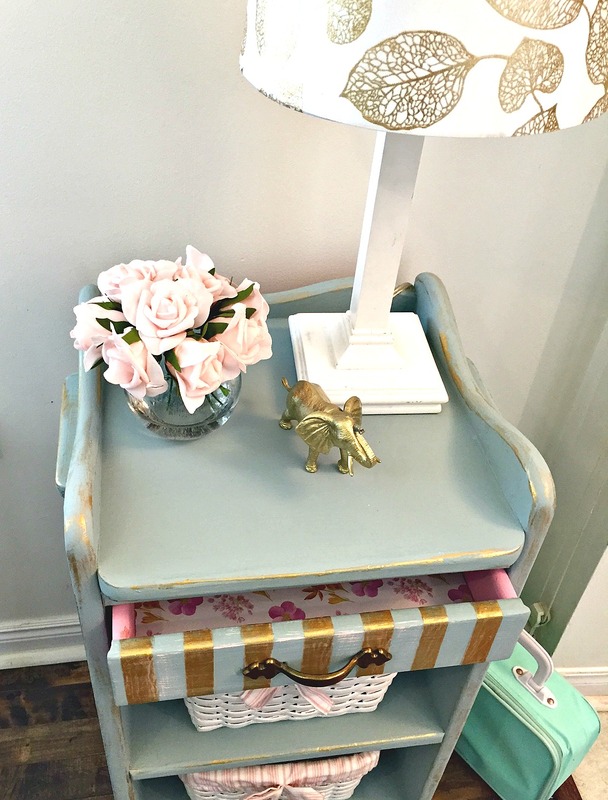 Once I peeled the tape off, I gave the drawer front a light sanding to make it look a little worn. 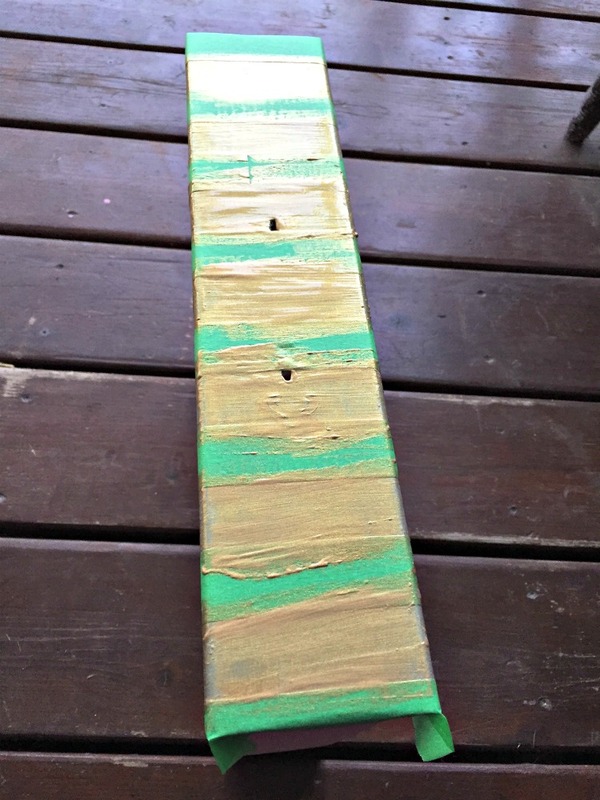 I also added some “distressed” edges using the Pocket Watch gold paint. 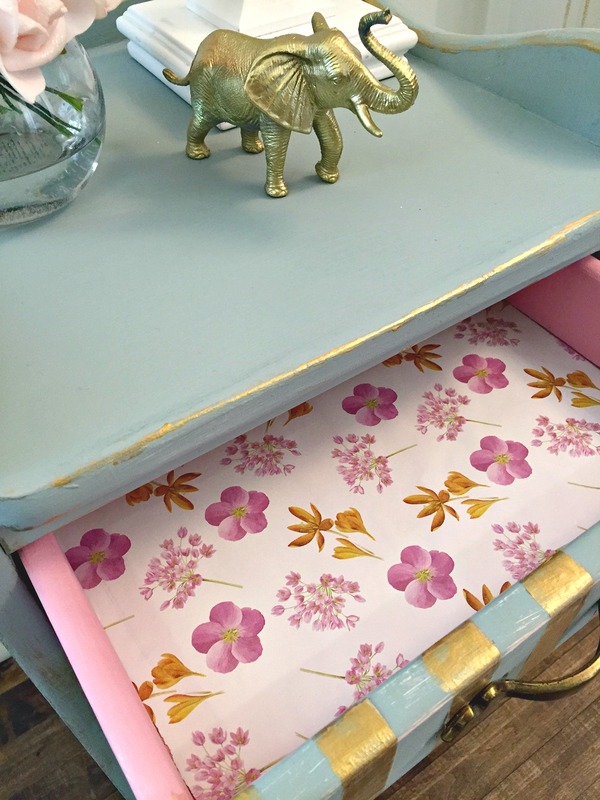 Inside the drawer, I glued in some pretty paper drawer lining and painted the sides of the drawers pink. I couldn’t resist giving it a girly touch. 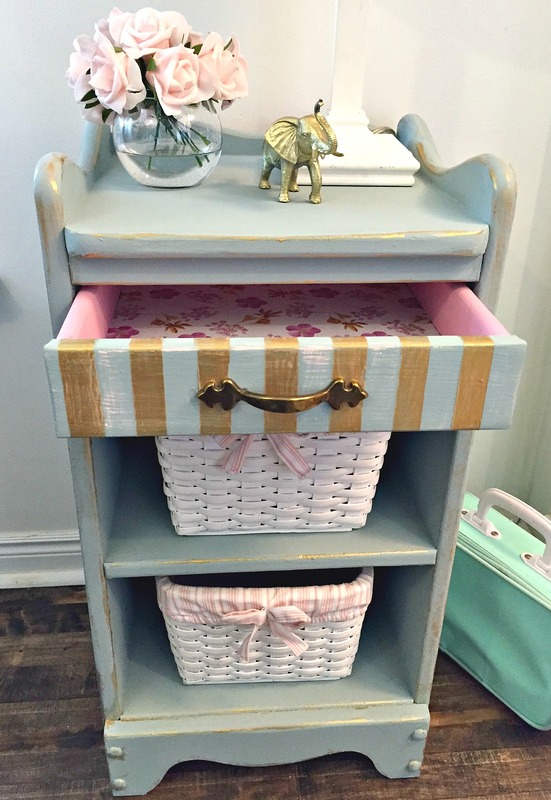 Love the makeover, so nice to have a childhood piece of yours passed down to your daughter! And I love the soft hue of elegance great job! LOVE those stripes! 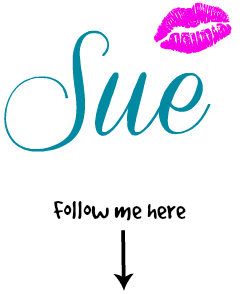 Very well put together, Sue. You rocked this! Thanks so much Robin 🙂 You are so sweet.